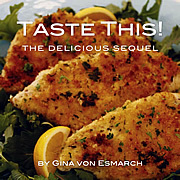 Published on September 23, 2013 in Recipes. 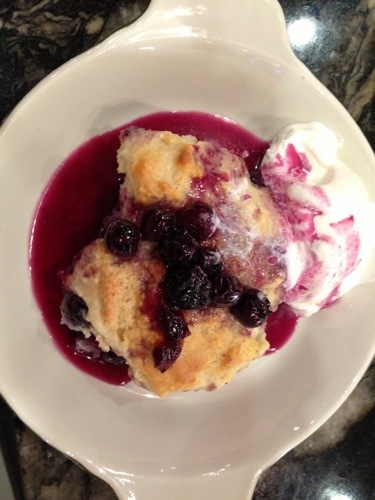 1 Comment Tags: blueberries, Blueberry Jam, cobbler, dessert, grunt, slump. 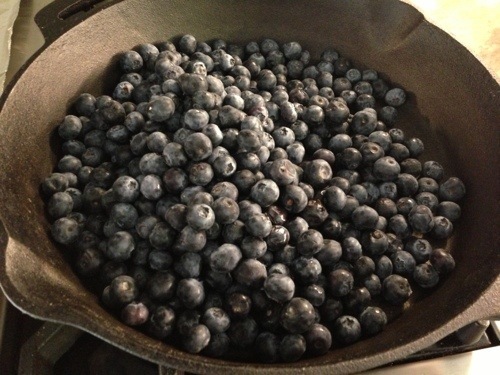 I’ve been obsessed with blueberries for the past few years. This year my blueberry bush yielded a bumper crop of 46 berries, as opposed to the previous year which yielded a whopping seven! 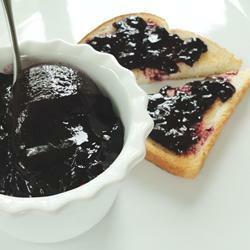 To stretch this limited supply a bit further I made blueberry compote to pour over French toast and pancakes. With happy faces all around I embarked on this oddly named recipe …. 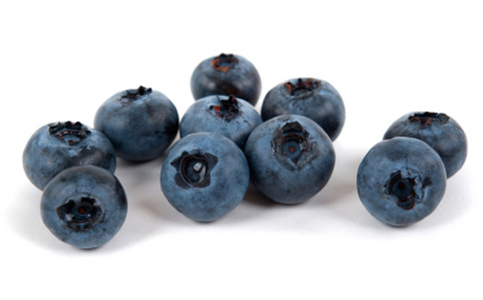 just when you think that warm blueberries couldn’t possibly get any better >bam< they do! 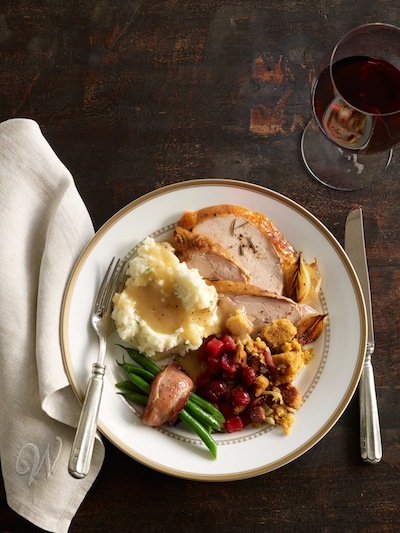 A slump is raised dough cooked on top of stewed fruit. It could easily be called the cousin of the beloved cobbler and I am told that a ‘grunt’ is the Cape Cod name for slump. 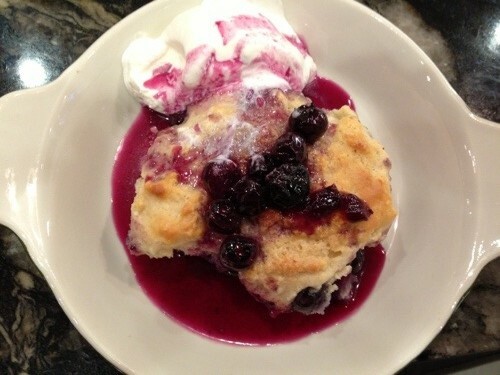 In this version, a sticky biscuit dough is dropped onto blueberries making the final product much like biscuits and jam. Simply divine! In a large bowl, whisk together flours, 1/4 cup sugar, baking powder, and 1/2 tsp salt. 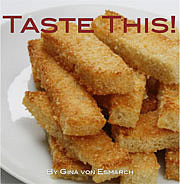 Add butter, and using fingers, rub butter into flour until pea-size crumbles form. Add buttermilk, and stir until a moist dough forms; cover and refrigerate dough until ready to use. 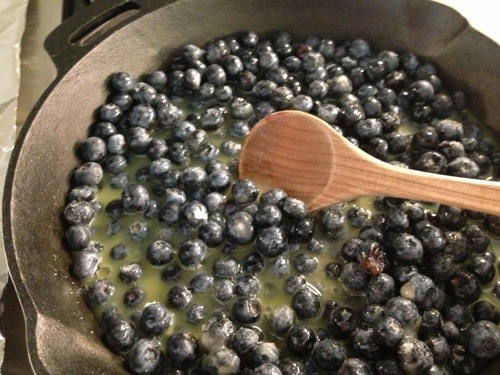 In a 12-inch cast iron skillet, over high heat, bring remaining sugar, salt, blueberries and citrus juices to a boil, stirring to dissolve sugar. 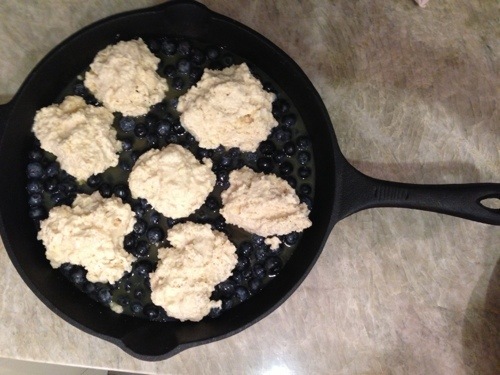 Remove pan from heat, and using 2 TBS, portion and form chilled dough into 2-inch dumplings, dropping them evenly on top of the blueberry mixture. Sprinkle dough dumplings with sugar, and transfer skillet to oven. 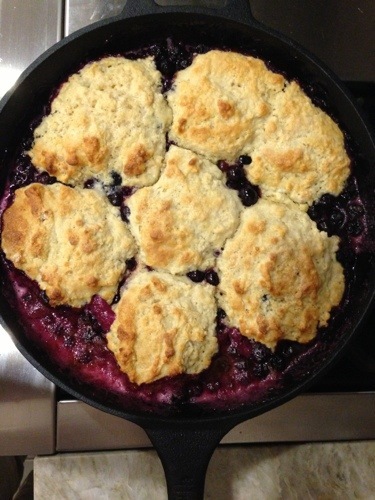 Bake approximately 25 minutes until biscuits are cooked through and blueberry mixture is reduced. 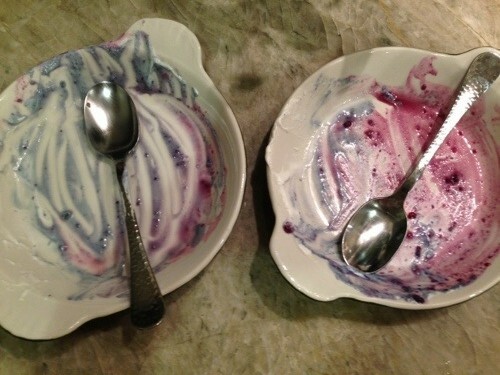 Allow to set for 5 minutes, scoop into bowls and serve hot with vanilla ice cream.